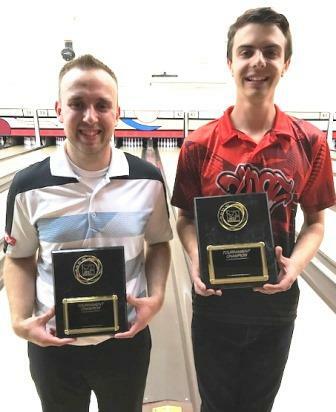 Nick Devlin and Darren Fletcher captured JBT major titles at the 21st JBT Arizona Invitational Tournament, hosted by Golden Pin Lanes in Tucson. Sixteen finalists in each division competed in grueling triple-elimination matchplay, led by Nick Devlin who gained the top seed on the brutal two-pattern qualifying, and roared through matchplay with only one loss through round seven. In that round, he gave Dallas Leong his second loss, while Bryan Van Sickle elminated Cortez Schenck, and Harley Sweigart eliminated Kyle Reed. In the next round, Devlin ousted Sweigart and Leong ousted Van Sickle, setting up a title match where Dallas would have to beat Nick twice for the title. The first game was low scoring, and Leong, always a factor at JBT majors, was forced to finish on the tougher pattern. When he couldn't mark, Devlin needed a double to win it all on the easier lane. He stepped up and crushed the strikes for the title, the 22nd of his outstanding JBT career. Six bowlers remained standing after seven rounds in the scratch division, highlighted by Fletcher with only one loss. In that round, Victoria Potter eliminated Matt Ross, and Phillip Sauve eliminated Alex Seng. In the next round, Fletcher eliminated Potter, and Sauve stopped #16 seed Clifford Robbins' great run, setting up a title match where Sauve would have to beat Fletcher twice to win it all. Sauve, like Leong, seems to save his best JBT bowling for majors, but could not find a look at all on the final pair. Fletcher took full advantage, defeating Sauve for a landmark first JBT title and the $1,000 scholarship payday as the newest Invite champ! 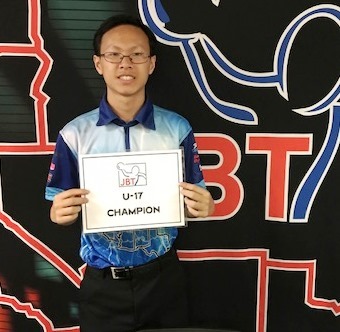 Two handicap division bowlers reached the U17 Invite title match, with Kevin Lu beating Mathew Garrett for the title. 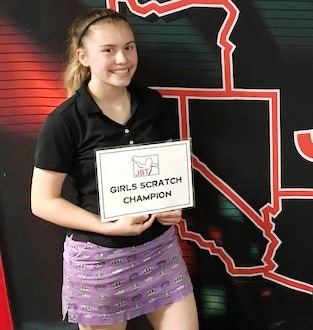 Veteran Abby Franklin defeated newcomer Catelyn Croutch for the Girls Scratch Invite title. Thanks as always to Dale Schnell and the crew at Golden Pin for hosting us. The top 20 point scorers now advance to teh 2017 JBT Touring Players Championships, the most prestigious event on the JBT calendar!